May 2008 ~ I Can Do That! I have never made sapin sapin nor was I enthusiastic about it before. To me it is just a three-color layered bibingka. The sapan sapin that I remember had only 4 ingredients: sweet rice, coconut milk, sugar, and food coloring, which probably is the Laguna style. The recipe in my Little Kakanin book uses three kinds of milk: coconut, sweetened condensed, and evaporated, and has ube and langka (jack fruit). Well, I made my sapin sapin with more flavoring, the ever present buco pandan and anise extract for a 4-layer sapin sapin. It was not easy to remove from the pan because it sticks everywhere but I love it! While browsing the internet for the recipe I found several Malaysian layer cakes called Kueh Lapis and I was attracted by the thin beautiful layers. Looking at the ingredients and procedure, it's very similar to the sapin sapin. The finished cake has a firmer texture, more like a softer Chinese tikoy and not as sticky as sapin sapin, and therefore easier to slice and makes a lovely but yummy snack. I also love it. Line a 9-inch round pan with banana leaf, set aside. Mix flours, sugar, and coconut milk until smooth. Divide into four portions. Color one portion with red and add anise extract, add buco and pandan extract into the second, add yellow coloring and langka into the third, and add the ube powder and purple coloring, if a deeper purple is desired, to the remaining portion. Preheat the pan in the steamer for 5 minutes. Pour one color of your choice and steam for 15 minutes. Pour the next 3 portions, one at a time, steaming for 15 minutes each time. Cool completely before removing from pan. Serve with cooked until brown thick coconut milk (latik or budbod). Mix coconut milk, flours, and salt. Boil pandan, water, and sugar until sugar has dissolved. Remove pandan and stir into the flour mixture and mix well until smooth. Divide into 3 portions. Add green pandan paste to one portion and pink color to another portion, leave the third plain. Lightly oil a square baking pan. Steam pan for 5 minutes in boiling water. Pour 1 cup of white mixture and steam for 10 minutes. Pour 1 cup of green mixture on top of white mixture and steam for 5 minutes. Pour 1 cup of pink mixture and steam for 5 minutes. Repeat with white and green mixtures steaming 5 minutes each. Add more pink or a drop of red coloring to the pink mixture and pour on top of green. Steam for 10 minutes. Cool completely before cutting into shapes. Throughout the southeastern states up to the Washington D.C area the air is filled with barbecue smoke and aroma. It is Memorial Day weekend and it seems everybody is firing up the grills, which is a good thing because I love the smell of charring meat and fat. Although Virginia has its own barbecue recipe which I favor because it resembles the Filipino barbecue in preparation and taste, I made North Carolina style pulled-pork barbecue just to compare and I can say I also like it. The basting sauce is very simple, does not have garlic, onions, and ketchup and is not very sweet, a little bit vinegary but still okay. I served the pulled-pork barbecue with a layer of creamy coleslaw and had the sandwich with a large glass of minty melonade, yumm, yumm. Bring vinegar to a boil with pepper flakes, sugar, 2 teaspoons salt, and 1 tablespoon ground black pepper in a stainless steel pan until sugar has dissolved, cool. Set aside 2 C to serve with sandwiches. While sauce cools, score pork skin in a crosshatch pattern, cutting through skin and fat but not into meat. Pat meat dry and rub all over with 1 tablespoon each salt and ground black pepper. Let stand at room temperature for 1 hour before grilling. Prepare grill for indirect heat cooking over low heat, leaving space in middle for disposable roasting pan. When coal has cooled to 300°F, put disposable roasting pan on bottom between the mounds of coal, then fill pan halfway with water. Add a couple of handfuls of unlit coal to each mound of coal. Put grill rack on. Oil grill rack, then put pork, skin side up, on rack above roasting pan. Grill pork, with lid ajar, basting meat with sauce and turning every 30 minutes. To maintain a temperature of 275 degrees, add a couple of handfuls of unlit coal to each side every 30 minutes until meat is fork-tender, about 7 - 8 hours, and internal temperature is 190 degrees. Cut large pieces of meat into bite-size pieces. When meat is cool enough to handle, shred using 2 forks. Transfer into a bowl. Layer shredded meat on toasted bun, add a layer of coleslaw. Serve with reserved vinegar sauce on the side. Gourmet's note: Pork can be roasted in a large roasting pan, covered with parchment then foil, in middle of a 350 degree oven. Roast 1 hour, then pour 1 cup vinegar sauce over meat. Roast 1 hour more, then baste with 1 cup more sauce. Continue to roast, covered, adding water (½ cup at a time) to the pan if needed, until fork-tender, about 2 hours more. Remove parchment and foil and roast another 45 minutes to 1 hour until skin is crisp. Tadaa! 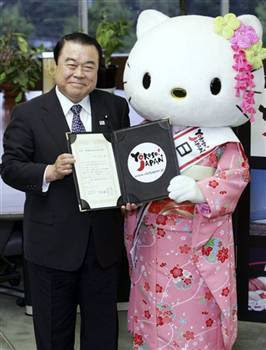 Meet the new Japan tourism ambassador to Hong Kong and China, the kitten with a ginormous head, Hello Kitty herself, hahaha. The amusing news made me unearth from the basement my daughter's Hello Kitty stuffed toy but couldn't find the really cute frog kerokerokeroppi. She also had the weirdest Japanese stuffed toy monchhichi (baby and monkey) which I gave to my sister's daughter when we left Manila in 1988. The toy is a thumb-sucking doll in a monkey suit that when removed becomes a baby, it also came with a feeding bottle and then it wets itself. I don't know what I was thinking when I bought and gave that to my then 1 year old daughter. I thought it was cute. In Hong Kong my daughter bought pencils and pencil cases, book bags, and all sorts of Sanrio items which she stuffed in a box and stored in the basement when she turned 13 or maybe 14. After reading about the much maligned Chicken Caesar Salad in Michael Ruhlman's blog and his improved version with pork belly confit in place of chicken, I was convinced and made Caesar salad topped with Filipino lechon kawali or bagnet which is the same thing as the pork confit, btw, only crispier and yummier, IMHO. The salad dressing I have been using is the recipe I learned from the sous chef of all places, the Asian Development Bank executive dining room. The sous chef, I can't recall her name, gave a half-day lesson to bank employees who were interested on how to prepare a few popular dishes the dining room had in their menu at the time. One of my favorites is Caesar salad and the other that I never wrote down but still remember from memory is Quiche Lorraine. I don't have precise measurements for the salad's dressing and the following is just a guide which can be adjusted to suit your taste. Or you can prepare your own recipe and top the salad with lechon kawali. I never knew this combination is really delicious, unhealthy but indescribably delicious. In a large bowl, whisk egg yolk, lemon juice, mustard, anchovies, and wooster sauce until well combined and thickened a bit. Slowly pour olive oil while constantly whisking. Stir in grated Parmesan cheese. In another bowl, toss some lettuce and dressing. Transfer into a salad plate and top with croutons and chopped lechon kawali. Marvin of Burnt Lumpia made a yummy, delightful, and very creative version of Caesar salad using some of our beloved Filipino ingredients such as pandesal, bagoong alamang, and chicken adobo. His wonderful recipe is here. Enjoy! Gizelle at Was zum kochen und essen invited me to join the Food For Which My City is Known For. Her city of Vienna is the home of one of my favorite cakes, the world famous Sacher Torte. When I was working at the Asian Development Bank in their old building at Roxas Blvd, my co-workers and I went to The Holiday Inn Hotel regularly to have their Sacher Torte. I believe the hotel's pastry chef at the time was a native of Austria and Sacher Torte was his specialty. I knew it would be tough to find any food that is associated with my city of Ashburn, Virginia located 30 miles west of Washington D.C. It headquarters some well-known big technology companies such as AOL, Verizon, and MCI and the home base of the Washington Redskins is located here but food or some delicacy, there's nothing. Unless you consider beer a food, then we have the microbrewery Old Dominion Brewing Company which is semi-famous here in the Northeast. Yes, what we have here in Ashburn is the perfect pair of football and beer. Because I don't care much for both football and beer I thought of making something with beer that I will definitely love and maybe will make me start watching the Redskins' games this coming season. My daughter suggested beer peanut brittle, Virginia is a peanut producing state after all. I made beer peanut brittle once and loved it. This time I added chipotle powder for a little bit of spice. The brittle is very very good, slightly spicy and has the subtle taste of the beer. Sooo good for munching while watching football. I chose Dominion's Spring brew, a Belgian-style blonde ale that has honey, orange peels, and chamomile, very unmacho which is just right for a girl like me who does not drink beer. As expected I liked it, it is the very first beer I tasted that did not repulse me, ever. I don't think Ashburn's food renown can compare with Vienna's Sacher Torte but at least I tried to put it on the map and I hope y'all could come down to Ashburn and drink a bottle of Old Dominion beer or snack on beery peanut brittle with me. Butter a large baking pan or line with silpat, set aside. Mix first 4 ingredients, set aside. In a large saucepan, mix the beer, sugar, corn syrup, and chipotle powder. Boil over moderate heat for 12 minutes until golden in color. Stir in the peanut mixture and quickly spread on the prepared pan. Let cool and break into small pieces. Store in an airtight jar. 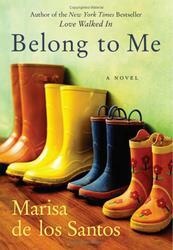 Writing about rice and finding out there are several to choose from American grown got me busy for a while. I inventoried my rice stash and was not really that surprised at the number of rice bags in my pantry: Thai jasmine and black glutinous, US (Koda Farms) short grain, glutinous and brown, and Italian arborio, 6 kinds of rice! We are Filipinos and we eat rice every night, we also love sushi, onigiri, risotto, paella, and various Filipino rice snacks. I opened the newly bought bag of short grain and suddenly I thought of kamameshi. We used to eat this Japanese rice dish at a restaurant in Makati called Kamameshi House or something. They serve very good Japanese food and the most delicious Chicken And Vegetables Kamameshi. This rice dish is unheard of in Japanese restaurants where I live *yes I live in the boondocks*. One or two authentic Japanese restaurants in Washington D.C have kamameshi in their menus but we rarely drive to D.C. The place is teeming with tourists on weekends and the streets are chaotic during weekdays, and I'm a little scared of getting lost and it's very possible that with one wrong turn we will end up in the notorious part of the District. I don't want to be mugged for a bowl of kamameshi. :DAnyways, I am happy with my homecooked kamameshi but will still try to look for Japanese restaurants that make them. Wash and drain rice on a fine sieve, leave for 30 minutes. Mix first 6 ingredients until sugar and salt are dissolved, taste and adjust seasoning. Mix in the rest of the ingredients and cook in a rice cooker, earthen pot, or non-stick saucepan for 20 minutes, or until all the liquid is absorbed. Serve kamameshi with warm sake or cold green tea. At the Filipino grocery there is a large poster of a balikbayan box company asking people to send rice to the Philippines. It's funny because when I bought my first balikbayan box in 1992 they suggested not to put a 25-pound sack of rice because it's too heavy. At the time I was puzzled at the special request and mumbled to myself "Now, why would anyone send rice to the Philippines? That's just crazy". I baked another pie, a savory pie. I'm into pie lately because I looove flaky crusts. We still have a few pieces of beef empanadas I made last week but that did not stop me from making a beef pie for lunch today. This is my favorite beef pie recipe adapted from a 1990 Good Housekeeping magazine issue which I have clipped, saved, and filed in a binder with all the other magazine/newspaper recipes. (I should probably organize and put them in my computer already.) The ingredients that make this pie so delicious are the corn meal, toasted wheat germ, and grated cheese in its crust. I love its flavors and textures paired with the slightly spicy Tex-Mex seasoning of the beef and vegetables filling. *This pie recipe by Mary King was the Grand-Prize Winner of Crisco's 1990 American Pie Celebration. In a medium saucepan over medium heat, heat oil and saute beef until well browned. Add garlic, onions, and pepper and saute for 5 minutes. Add the rest of the ingredients except olives. Heat to boiling. Reduce heat to low, cover and simmer for 40 minutes, stirring mixture occasionally. Remove from heat and stir in olives, set aside to cool slightly. Prepare the crust: In a bowl combine flour, cornmeal, wheat germ, and salt. With your fingertips cut in butter, Crisco, and cheese until it resembles coarse crumbs. Stir in ice water 1 T at a time until it forms a ball. Divide dough in half. Roll one ball into an 11-inch circle. Ease into a pie plate. Preheat oven to 425°F. Spoon filling into pie crust. Roll the other dough into an 11-inch circle. Lift top crust onto filled pie. Cut slits on top crust to allow steam to escape while baking. Fold top edge under bottom crust, flute or pinch. Glaze with egg wash or heavy cream. Bake fro 35 minutes or until meat filling begins to bubble and crust is golden brown. Sprinkle top with more shredded cheese, if desired.